International NGO – Engage. Inspire. Develop. This website, e-Journal and its content is copyright of Asfar CIC – © Asfar 2015. All rights reserved. You may not, except with our express written permission, distribute or commercially exploit the content. Nor may you transmit it or store it in any other website or other form of electronic retrieval system without Asfar’s permission. This excludes Social Media promotion in its original form, full acknowledgement of the website, Asfar and if appropriate, the author. 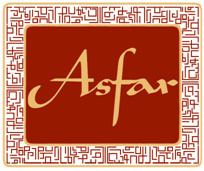 Contributors to the e-Journal, may distribute their materials within the Asfar copyright framework, available upon request. Contributors ideas remain their own and their materials published here, can be re-published elsewhere, as long as full acknowledgement of Asfar, and original publication date and e-Journal link is included. If Contributors change their publication by more than 40%, then Asfar recognises this as a new and original piece of work and belongs to the Contributor. Contributors’ photographs remain the property of the contributor, but Asfar holds the copyrights of the photographs within the e-Journal publication. Please contact Sheniz Tan at info@asfar.org.uk to send s permission request.